For over a century, Shelter Neck UU Camp has been a meeting place for Unitarian Universalists from across the state. Located in rural southeastern North Carolina, Shelter Neck originated as a school for children who otherwise would not have had access to education with broad cultural experiences. Over the years, the Universalist Convention of North Carolina, Inc. (UCONCI) has preserved the physical site as well as many of the experiential facets of the school, farmhouse and chapel. Generations of Unitarian Universalist children have "grown up" at Shelter Neck, participating in camps and conferences, and giving their time and energy to its well-being. Inter-generational activities and special conferences have expanded the experience. The one-time boarding school is still a place for "city" and "country," for adults and children, for learning and teaching, for sharing and fellowship. Shelter Neck UU Camp is a volunteer/user operated facility. It is located eight miles from I-40 and thirty miles from Wilmington, NC and the Carolina Beaches. It is available for rental by UU Societies and related groups. 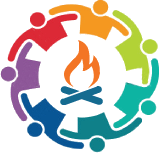 Watch our schedule and email event bulletins for inter-congregational retreats and activities, including our Opening Weekend in March and the Annual Meeting of UCONCI in October. For the past six years, UCONCI has sponsored Shelter Neck Youth Camps during the summer, with the aim of connecting youth from small, mid-size, and large Unitarian Universalist congregations across eastern and central North Carolina in a cohesive, energetic and thriving community. Registration is currently open, and we are also looking for counselors and volunteers.